The British pound has fallen to its lowest level against the US dollar since 1985, having touched $1.2767 on Tuesday. However, the UK’s biggest blue chip companies are enjoying the weak currency, reaching record highs. The UK currency fell below its post-Brexit lows and is trading down against 30 of 31 major peers after Prime Minister Theresa May announced she would trigger exit from the European Union in the first quarter of 2017. Sterling fell further after May was reported to have refused favorable conditions for the financial sector in Brexit talks. The FTSE 100 index surpassed the historic high of 7103.98 seen in April 2015. 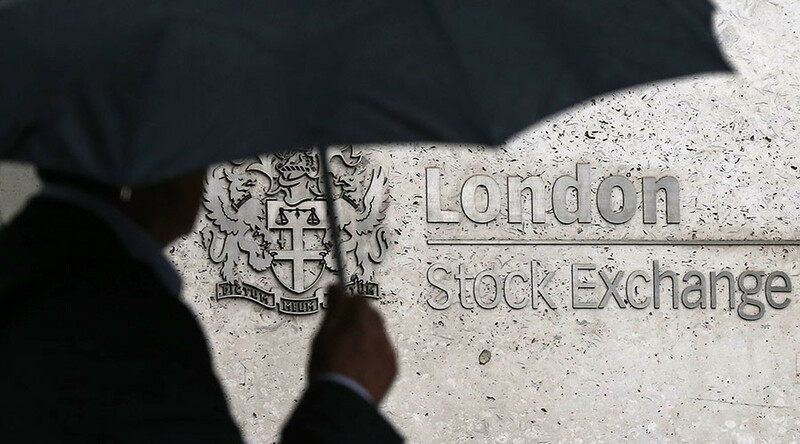 Britain's blue chip index was trading at 7,115 points, as of 1:45pm GMT. Companies included in the index make 70 percent of their earnings in foreign currencies, which means when the pound is cheap, they generate more money. Many of these companies are based in the UK, but denominate assets in US dollars. According to Kathleen Brooks, Research Director at FOREX.com, stocks could fall later in the day. "One thing that could knock the FTSE 100 temporarily on Tuesday was some reports late last night, suggesting that the UK government won’t prioritize protection of the UK’s financial services sector once the UK has left the EU. This could weigh on the UK’s large banking sector, and could trigger some profit taking on FTSE positions this morning," she said. Many investors are worried that May’s government will push for a ‘hard’ Brexit, sending the country into recession and boosting its current account deficit, already one of the highest among developed countries. "What is causing particular uncertainty among investors is the strong affirmations of the British government to insist on limiting the freedom of movement," said Esther Reichelt, currency strategist at Commerzbank. "This increases fears of a ‘hard’ Brexit because so far nobody sees a possibility of achieving this without May having to accept notable restrictions when it comes to accessing the (European) single market. That in turn is likely to lead to considerable economic effects and be of notable relevance for the attractiveness of sterling investments," she added.